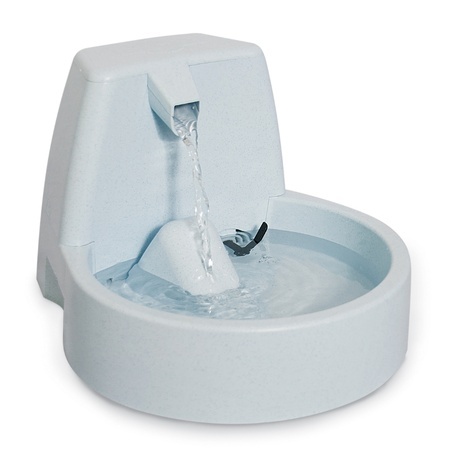 Pets are instinctively drawn to moving water because it is much fresher than stagnant water. The movement constantly breaks the surface tension of the water to draw oxygen from the air into the water. 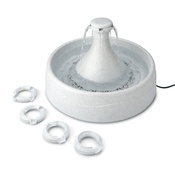 This process is called aeration and it makes the water more appealing to drink. Research shows that one of the best ways to improve your pet's health is to get them to drink more water. 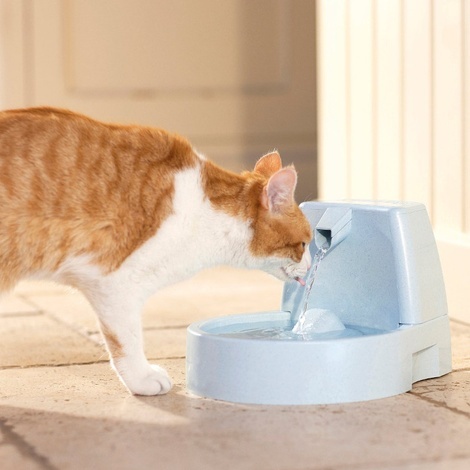 The Drinkwell Original Pet Fountain can help you do just that. 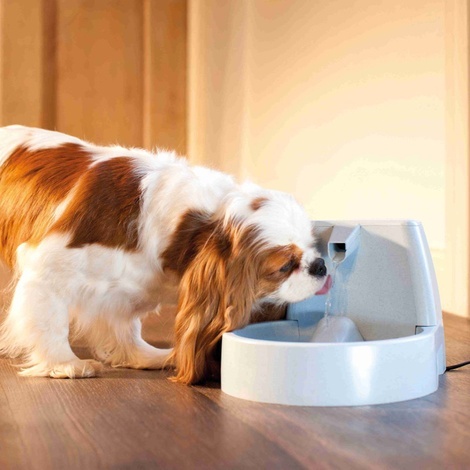 Developed by a veterinarian, it keeps your pet healthy and hydrated with 1.5 litres of fresh, filtered water. 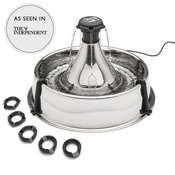 The charcoal filter removes bad tastes and odours and keeps water clean and fresh. Research shows that one of the best ways to improve your pet's health is to get to drink more water. 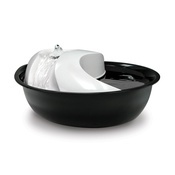 Drinkwell Original Pet Fountain 1.5L. Dimensions: 18.1cm x 23.8cm 35.5cm. The replaceable charcoal filter removes bad tastes and odours. 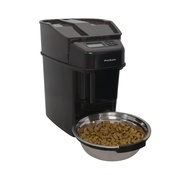 The pre-filter catches hair, debris and pet food left in the water. Submersible pump for quiet operation.